Do you remember, in Part 1 of this story, it was mentioned that Eliza Hopkins (nee Cunningham) had a sister, Mary Ann born in 1833. Mary Ann was one participant in this story who led a “BIG” life. She had enjoyed growing up with her siblings on the Hawkesbury River, passionately enjoying their adventures on horseback, rowing, fishing and shooting. When one of her brothers fell ill with a contagious fever, Mary Ann fitted up an outhouse in which she nursed him back to health and from then on she longed to know more about professional nursing. 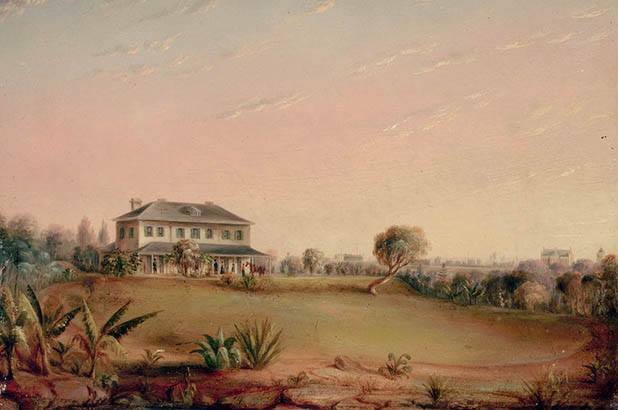 Like all of the Cunningham children, she had a desire to pursue her own life’s desires and if that meant leaving the Hawkesbury and her family, then so be it. Mary Ann, originally Church of England, had been received into the Catholic Church by Bishop Bede Polding.....she was the one who was to attended him on his deathbed. She took herself, at the age of 21, by coach to Sydney in 1854 to visit the Sisters of Charity where they were staying in Macquarie Street and asked to join the community. The sisters advised her to wait until they had a permanent home. Not to be deterred, Mary Ann arrived at Tarmons, Potts Point, in May,1857, three months before St Vincent’s Hospital was due to open, and again asked to become a Sister of Charity. This time she was successful and Sr de Lacy, who had been trained at St Vincent’s, Dublin, undertook Mary Ann’s nursing training. Mary Ann took her vows on July 28, 1860, aged 27. 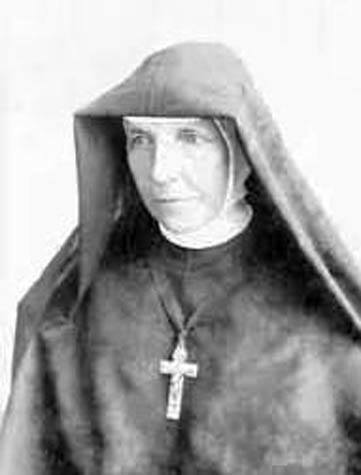 It is said she was the first Australian born to enter the Sisters of Charity, strongly declaring it was her intention to remain always with the Sisters of Charity. From that time on her work was the constant care of the poor and the needy. For 13 years, during the great bushranging period, she attended at the Darlinghurst Gaol. Her intersession was responsible for the suppression of a rising among the prisoners. She ministered to the condemned and cared for the ill prisoners. She came to St Vincent’s Hospital in 1874, with an ambition to extend it’s sphere of influence, which she achieved with great success. But in coming to St Vincent’s she must have met and come to know a young Irish sister called Catherine (Kate) Reynolds, born about 1841 in Ireland and who had been sent to Australia at the sudden death of her parents, to stay with an Aunt in Sydney. She had arrived on the Himalaya in 1865 . Her Aunt, at some time, arranged for her to be accepted into the Sisters of Charity where she took her vows and worked as a nurse in St Vincent’s Hospital. It may have been that Mary Ann and Catherine developed a friendship telling each other the stories of their childhood experiences – hence Catherine may have been aware of the beautiful Hawkesbury, of the historic atmosphere of Thompson Square, of Mary Ann’s sister, Mrs Hopkins......and what a lovely lady she was. Sister Mary Xavier Cunningham doubtless would also have been aware of the new doctor from Florence, Italy – Henry Fiaschi - who had begun work at St Vincent’s in 1876. Perhaps Catherine confided in Mary her thoughts about the new doctor and their intentions to elope just weeks after his arrival. We will never know. 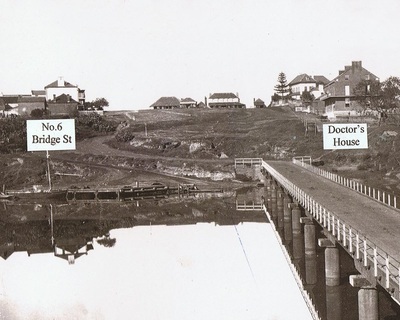 Suffice to say the newly wedded couple escaped from scandal in Sydney to Thompson Square, Windsor where they set up “house” in the Macquarie Arms and began a medical practice, then moving into what has since become known as the Doctor’s House. Dr and Mrs Fiaschi were excommunicated from the Catholic Church. 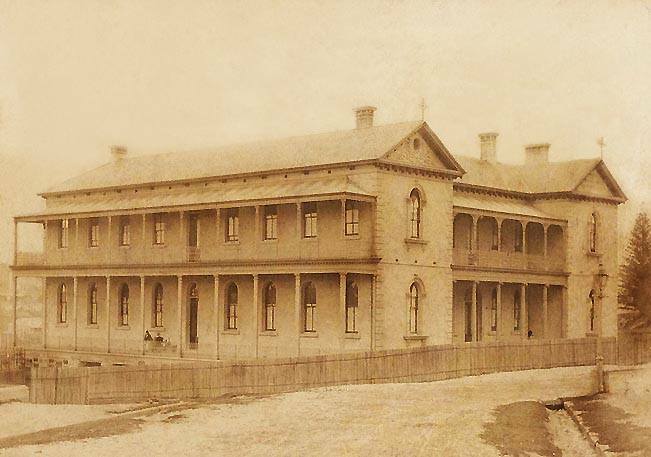 While Mary Ann was the first Australian to enter the Sisters of Charity, Catherine was the first and only sister to leave the Sisters of Charity. Thus it was that two Sisters of Charity took two separate pathways in a revolving door of choice which saw one Sister leave the Hawkesbury and another come to a new life in Thompson Square. There may have been numerous knowing looks from NO 6 across the Square to the Doctor’s House but after a time it may have been cautious smiles and then friendly waves. The ice may have finally been broken when a young girl, Mary Connell, ill with bad stomach pains, was brought in to town to see Dr Fiaschi. He advised that she was suffering from opium poisoning from being given several doses Winslow’s Soothing Syrup. She was taken to Mrs Hopkin’s house and attended by Dr Fiaschi there, where sadly she later died. The intensity of this event may have brought together the two previously awkward relationships. 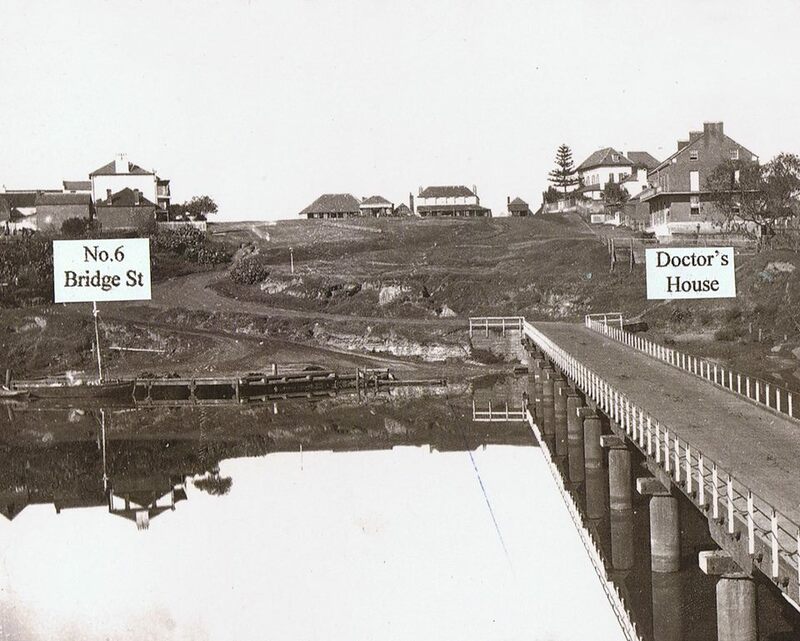 Dr Fiaschi and Catherine left Thompson Square for Sydney in 1883 and the doctor said later that his wife, somehow – he didn’t know how - had made friends again with the Sisters of Charity. If we read between the lines it may well have been by the intersession of Mrs Hopkins with her sister, Mary Ann. In 1884 Sister Mary Xavier Cunningham became Mother Rectress or matron of the Sisters of Charity. This was a very powerful position within the Catholic Church and beyond. It may have been that the Fiaschi’s now had a friend in high places and therefore Catherine was able to be more at ease with her past life in the Sisters of Charity and her sensational departure from their ranks. This greatly respected, accomplished and well known lady came to Thompson Square to visit her sister, Mrs Hopkins, in 1899. It must have been a very proud time for Eliza and Mary to have her very famous sister to visit in her home. The Catholic community of Windsor was probably a-buzz with the news. Did they discuss how the Fiaschi’s were doing as they sat and enjoyed afternoon tea on the verandah before taking a walk around the Square to visit with friends and acquaintances? Did they reminisce about their days growing up on the farm and did they pay their fond respects at the graves of their parents? We can but imagine. In 1903 Sister Mary Xavier died and a large funeral was held for her at St Mary’s. Eliza and Mary must have gone to say goodbye....and I wonder if the Fiaschi’s were able to do the same.